I bought my first horse for $6000 but it took me a while. It also took me a while to catch my first wild horse. You can read some of my tips in the comments below. This is one of my fave games. It's addicting!!! Step 2: Come back here and share your review of HorseIsle here! Step 3: If you’re good at this game, please be sure to share your tips for playing HorseIsle here! I didn't like the graphics and I took a while to get a horse. Over-all, I didn't really like it. My mom and I Love Horse Isle!! Im new to this game but it is fun, I hope y'all do it too. This is my favorite site in the world. My brother doesn't like horses and HE GOES ON IT! The best horse game in the world! I love it so much!!!!!!!!!!!!! Horsisle- the BEST Horse game out there! I just love playing horse isle and it is so addictive! DO YOU NEED HELP WITH HORSE ISLE? SHARE YOUR REVIEW OF HORSE ISLE! Tell us what you think of Horse Isle. Just use the comment link below to share your review. what happens if you ran out of minuets to play onlineand you are a non-subscriber? Do you get extra more? 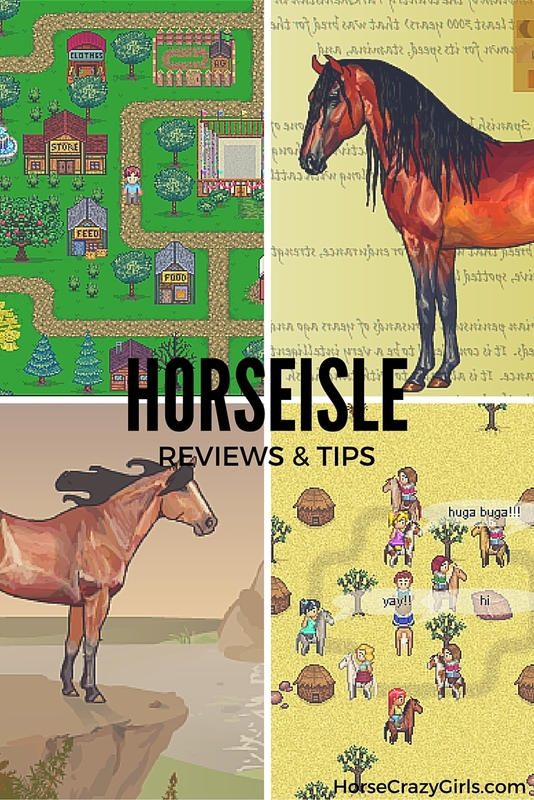 SHARE YOUR TIPS FOR PLAYING HORSE ISLE! Are you good at the horse game Horse Isle? Share your tips, strategies or cheats for this game here. Just click on the comment link to add your tips. Horseisle... an online game, or an at-home Addiction???!!!! It won't let me play. It said you're not registered. HorseIsle is one in a million!!!!!!!!!!!!!!!!!!!!!!!! It's like you actually have a horse!!!!!!!!!!!!!!!!! !